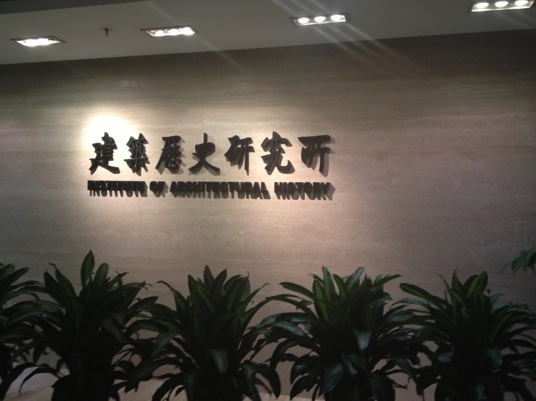 From June 17th to August 2nd, I did my internship in the Institute of Architectural History, which belongs to the China Architecture, Design & Research Group in Beijing. The Institute of Architectural History works closely with the China’s State Administration of Cultural Heritage and local Bureaus of Cultural Heritage to preserve and protect China’s architectural heritage. For the past few years, the institute has been working on the transnational serial nomination of “Silk Roads: Initial Section of the Silk Roads, the Routes Network of Tian-shan Corridor” for inscription on the World Heritage List. This nomination involves 33 historic sites in China, Kazakhstan and Kyrgyzstan, while 23 of them are in China. 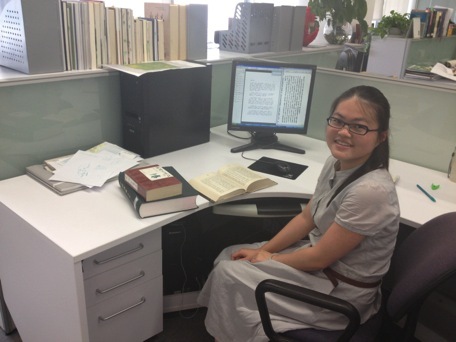 The Institute of Architectural History prepares the nomination dossiers and management plans for the sites in China. As the nomination will be assessed in 2014, most of the nomination dossiers and management plans have been completed, while a few of the management plans were still only in Chinese and need to be translated in English. During my internship, I mainly worked on the translations of Management Plans for two nominated sites, the Subashi Buddhist Ruins and the Kizilgaha Beacon Tower. 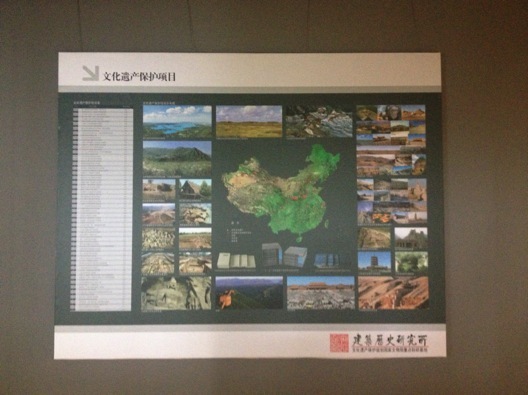 These two Management Plans covers various aspects of the sites, including the history of the site, the contribution of the site to the outstanding universal value of the Silk Roads, the current condition and conservation condition of the site, the current laws and regulations for the protection of the site, the conservation and protection measures that will be carried out, the management of the site and relevant tourism, the planning of nominated property area and buffer zone and so on. Though these Management Plans have been completed in Chinese, to translate them into English requires thorough understanding of the site itself and the conservation efforts have been made to preserve them. Thus, I also did research on the history, the archeological findings and the conservation conditions (especially the conservation of earthen sites and the conservation of murals in grottos) of the sites. Through working on this project, I also got more familiar with the nomination of a cultural site for inscription on the World Heritage List. The Institute of Architectural History has participated in the nomination of the Site of Xanadu in Inner Monogolia, the West Lake Cultural Landscape of Hangzhou, the Capital Cities and Tombs of the Ancient Koguryo Kingdom and the Cultural Landscape of Honghe Hani Rice Terraces in the past ten years, all have been inscribed on the World Heritage List. Therefore, working on this project was very helpful to me to learn about the criteria for inscription on the World Heritage List and how to prepare nomination files. Another project I worked on was the Conservation Master Plan for the Site of Jinan City of Chu State. I researched on historical documents and drawings to argue that Jinan city was the capital of Chu State from the middle period of during the Spring and Autumn to late period of the Warring States (circa 670 – 300BC). With the evidences I found, the staff in the institute could enlarge the protection buffer zone and suggest further archeology work for the site. Working in the Institute of Architectural History was very helpful to me to learn about the current preservation condition in China and to study the ancient sites in China. 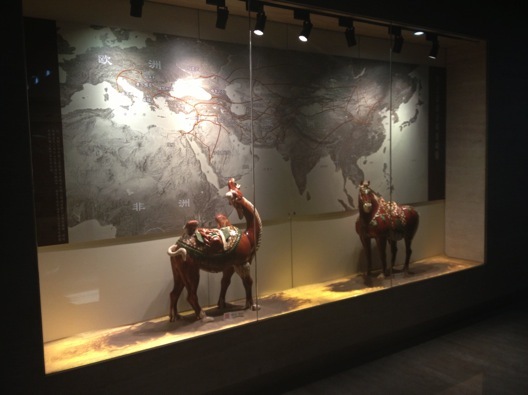 The Silk Roads projects also gave me the chance to know more about World Heritage, and the experience will be helpful for the International Affairs class that I will in the second semester.